Amazon (AMZN) has ditched plans to build a headquarters in Long Island City Queens, but residents and prospective renters should not expect the decision to alleviate soaring rental prices. 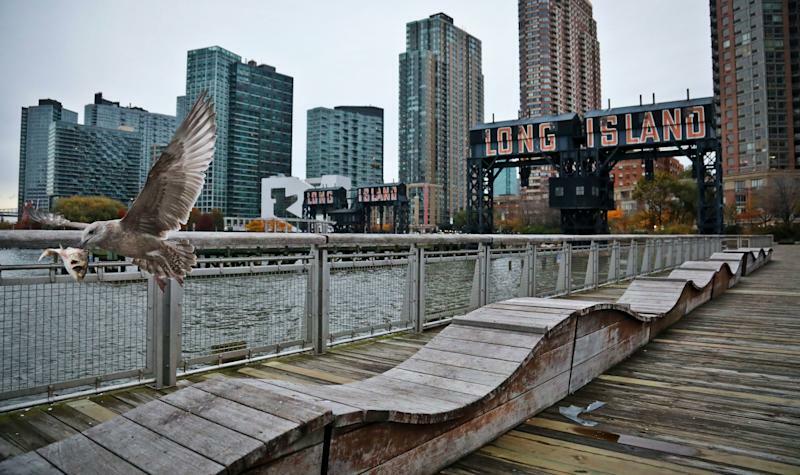 Long Island City’s housing market was already booming before Amazon revealed it was splitting its second headquarters between the Queens neighborhood and Crystal City, Virginia. By 2020, up to more than 11,800 units are expected to be completed, according to the area’s local development group, Long Island City Partnership. RentCafe estimates are even higher, projecting 15,528 units to come online. Amazon’s promise to create 25,000 jobs over 10 years in the area meant all those apartments would be absorbed more quickly. There was also concern that the number of units would not be able to keep up with the demand spurred by Amazon, therefore, driving rents up even more. But it looks like rents will remain pretty much on track, which is still up. The bad news is “rents will rise with or without Amazon,” Jonathan Miller, CEO of appraisal firm Miller Samuel Inc., told Yahoo Finance. He noted that in New York City slowing sales activity is driving prices in the rental market. "From a broader view, this decision will do nothing to resolve the challenges associated with housing affordability voiced by critics of the Amazon decision,” said Bankrate.com's senior economic analyst Mark Hamrick in a statement. Real estate brokers said median rent for a one-bedroom in Long Island City is approximately $3,000 a month, slightly higher than the median rent of $2,948 in the borough of Queens. Rents in Long Island City tend to skew higher because of the amount of luxury apartments that are being created in the neighborhood. One silver lining is that renters will likely still see concessions in the form of free rent remain when they’re negotiating leases with landlords. Those concessions would have likely “evaporated” with the influx of potential renters to the area if Amazon had come to town, according to Miller. Now that units will rent at a normal pace, landlords will likely still have to offer concessions to attract renters and lease up their buildings. “The long-term value will remain in tact,” said Robert Whalen, brokerage Halstead’s director of sales in Long Island City. Amazon’s decision to pull out may have taken “the wind out of [Long Island City’s] sails,” he said, but people will continue to come to recognize the convenience and quality of life in the area — its transit connections, and proximity to Manhattan and tech hubs like Cornell Tech on Roosevelt Island. In November, the Long Island City condo sales market got a big boost when Amazon first announced that it would be building HQ2 there. Brokers reported a pick-up in open house traffic and offers to buy. Eric Benaim, owner of a Long Island City-based brokerage Modern Spaces, said his firm had its best fourth quarter ever but noted that even before Thursday’s announcement activity returned to normal levels in January. “I expect business to go on as usual,” Benaim told Yahoo Finance, noting that he anticipated selling out units in new condo projects his firm is marketing within three to six months if Amazon went ahead with its HQ2 plans. Now, he expects sell-outs within the normal six to 12 months, depending on the building.